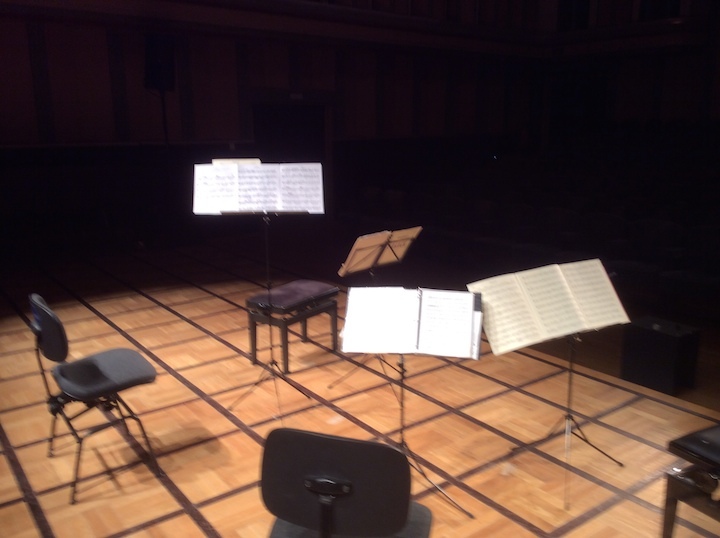 Of the resulting concerts, the first, on last Saturdays night and Sunday afternoon, featured music by Johann Sebastian Bach and Franz Joseph Haydn, plus Harbison, suggesting their interaction. And in between, on this past Wednesday night, came Franz Schubert. That was the concert I caught. 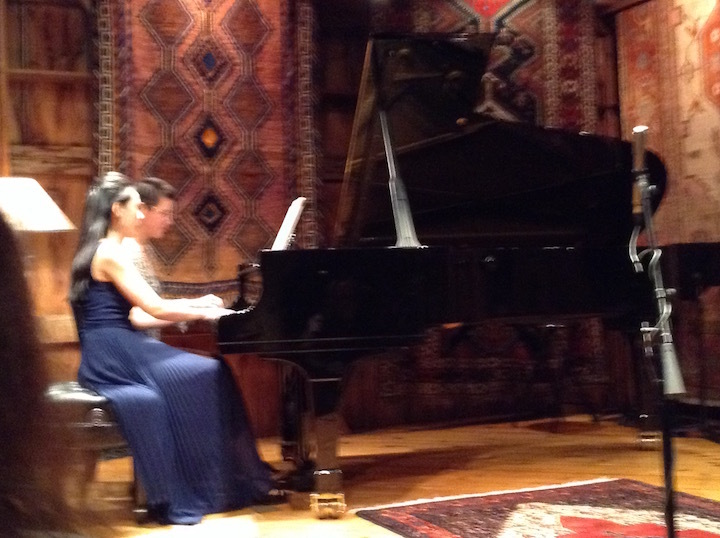 To begin with, the two pianists, Ya-Fei Chuang (below foreground) and Alison D’Amato, played the slow movement from Schubert’s so-called “Grand Duo,” D. 812. 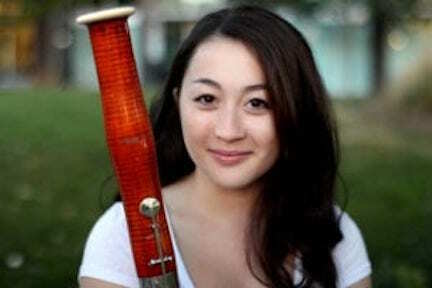 Next, Chuang played the six pieces that constitute the collection known as the Moments Musicaux, D. 780. These pieces, mostly in ABA form, bring Schubert’s inherent lyricism into a range of moods that go far beyond mere entertainment. 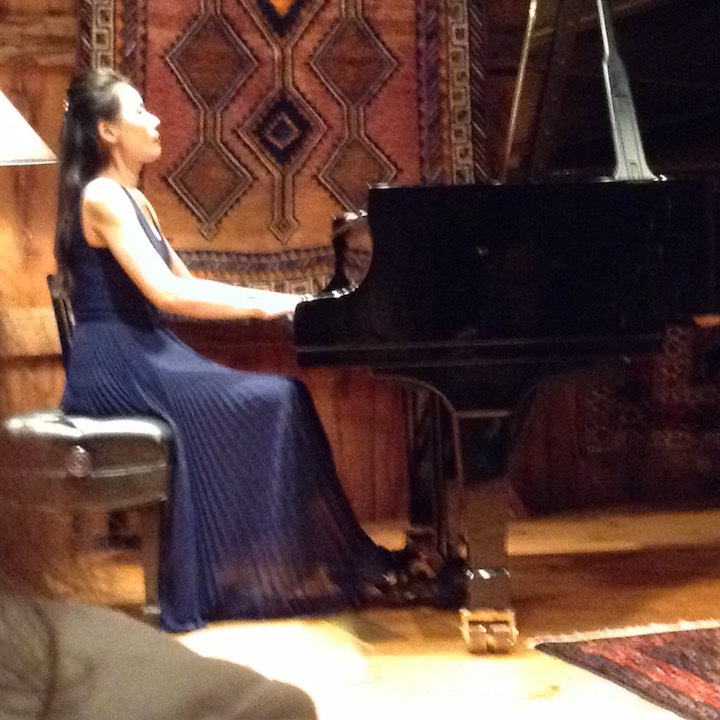 Chuang played them with deeply probing intensity. 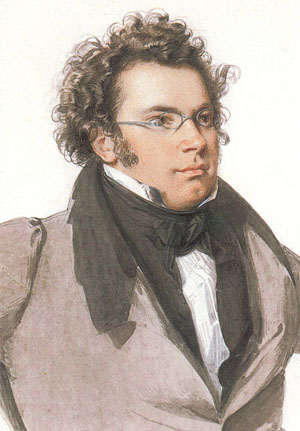 The second half of the program was entirely devoted to Schubert’s final collection of Lieder, his Schwanengesang, or “Swan Song,” as the publisher titled it. It is not a true cycle, but a gathering of 14 songs on which Schubert had been working in his last years, published after his death. 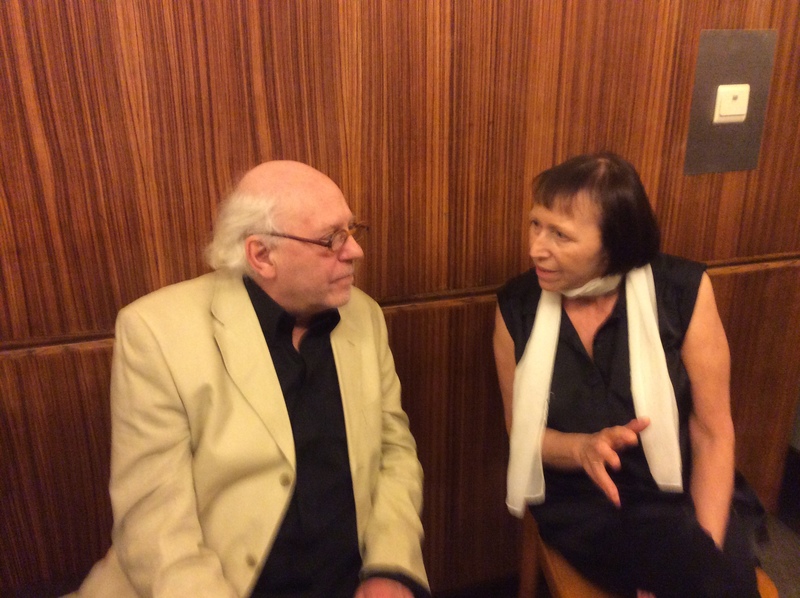 One can, to be sure, find common themes among them of longing, loss, isolation, loneliness and apprehension — themes that preoccupied the composer at the end of his all-too-brief life. 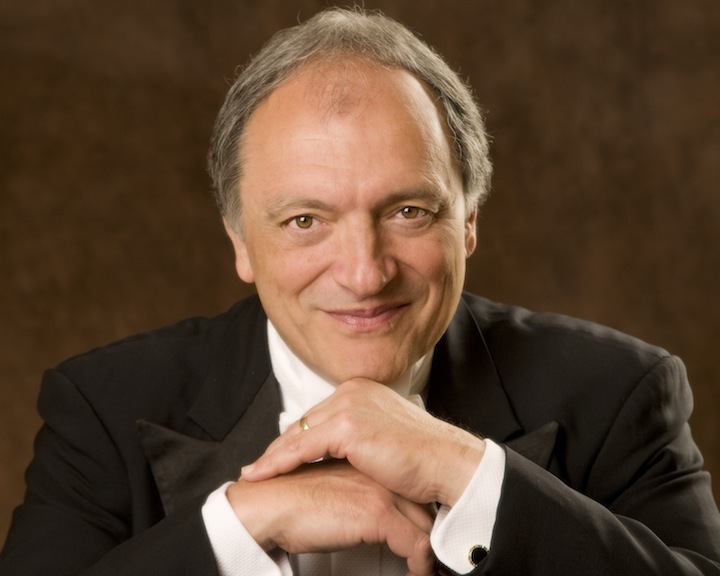 The singer, Charles Blandy (below), joined D’Amato in a deeply involving performance. His lyric tenor voice is flexible, with particularly fine German diction and a capacity for subtle variations in the moods of the individual songs. The pianist was a sensitive partner whose careful support offered a musical dimension of its own. 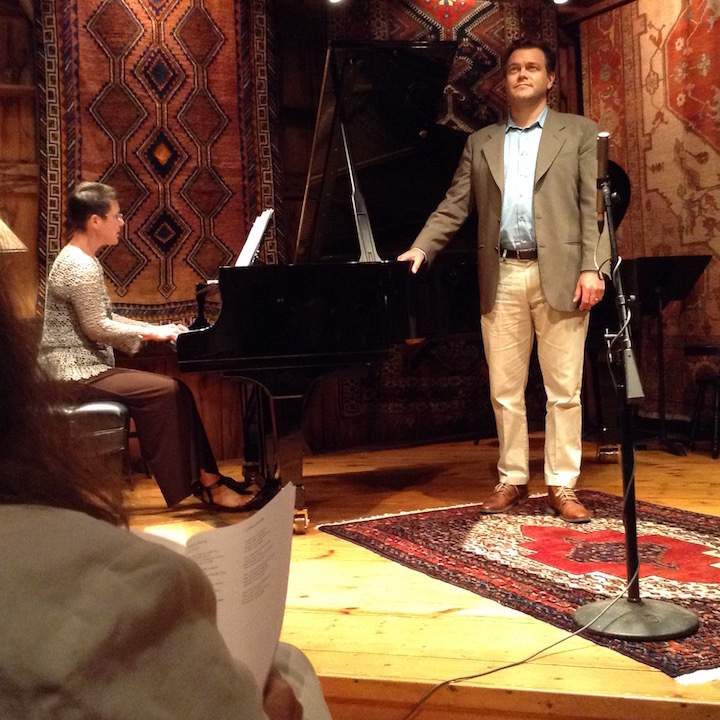 The texts and translations were provided to the audience, allowing full immersion in these songs. All of this music came from Schubert’s later years, when the composer, knowing that he was soon to die, concentrated his thinking so poignantly. 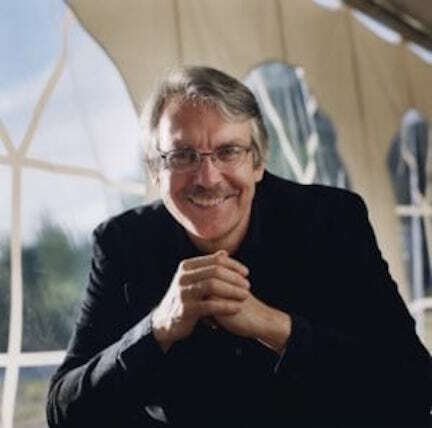 If you have ever attended a concert at the Token Creek Chamber Music Festival (below), which opens this Saturday night at 8 p.m. and Sunday afternoon at 4 p.m., you know how insightful the short commentaries by John Harbison invariably are. Perhaps that should come as no surprise. 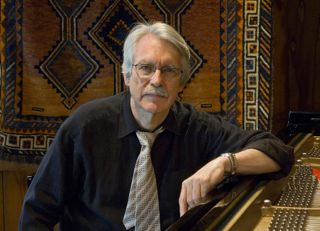 Harbison (below), the co-founder and co-artistic director with his violinist wife Rose Mary Harbison, has been awarded a MacArthur ‘genius grant” and won a Pulitzer Prize, all while teaching at MIT. The concerts this weekend focus on Johann Sebastian Bach’s incredible “Musical Offering,” part of which you can hear in the YouTube video at the bottom. ”Every musician has the experience of understanding a piece better after they have performed it. A few have careers which welcome (sometimes to a fault) chances to re-perform, hopefully with greater insight, a piece they wish to carry with them and continue to share with colleagues and listeners. 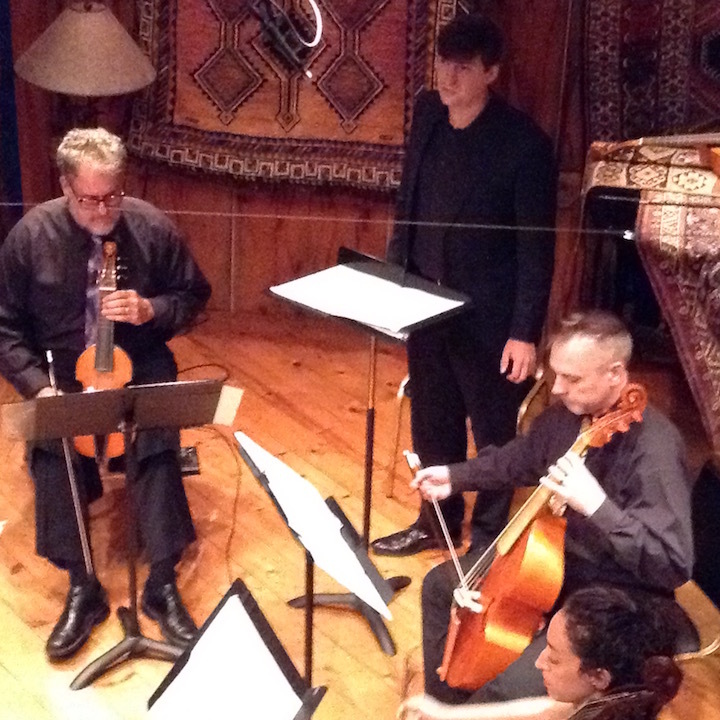 “We have performed two complete Musical Offerings by Bach (below) at Token Creek. 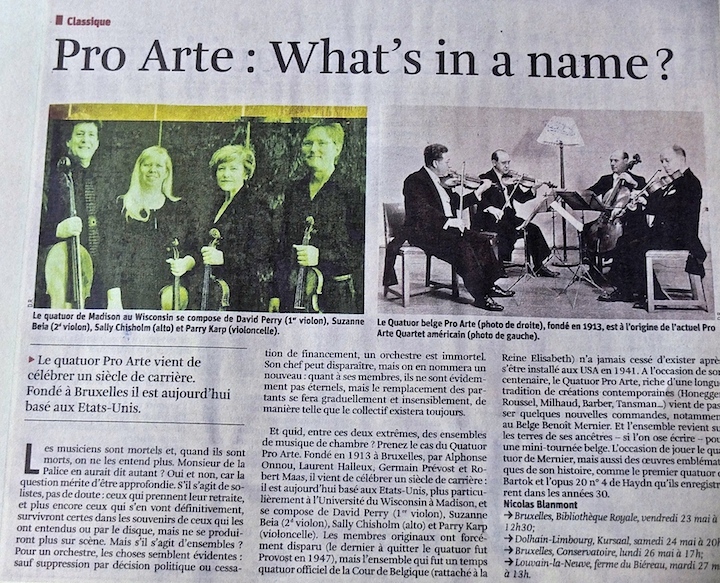 Why are we going back to its Trio Sonata? Because it has become necessary, for the fullness of our encounter, to present what is a revision, a reconsideration, a reinforcement of vows, regarding a masterpiece whose carrot remains forever on the stick. “Such could be said about other elements on this program. One of the subtexts is about the fascinating issue of continuo realization — the piano or harpsichord part — the strange language in which harmonic structure is described to the player in cipher. “In pieces by Bach this language is strained to the breaking point in works such as The Musical Offering and the E minor sonata for violin and continuo; it is in fact about to disappear, replaced by the explicit writing out, in pitches, all the musical information. Living in the world before and after this decision was taken is one of the preoccupations of this concert. 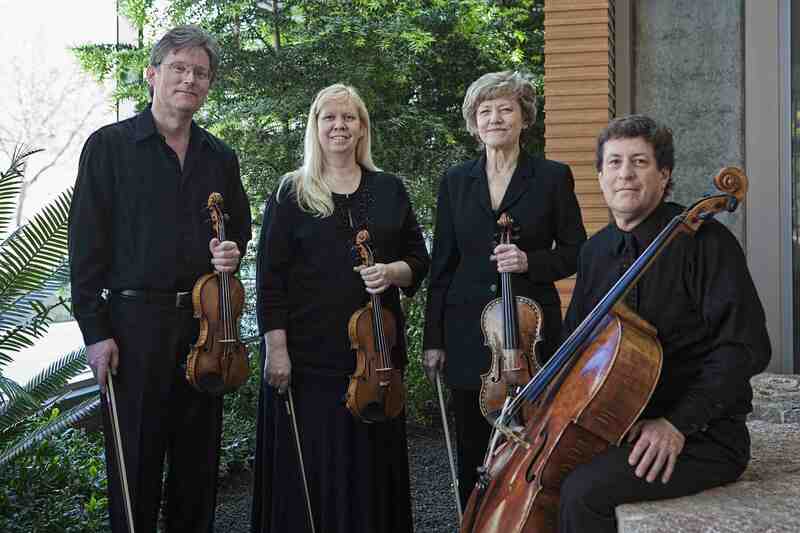 Here is an overview of the upcoming 27th Token Creek Chamber Music Festival, which starts this Saturday, Aug. 27, and runs through Sunday, Sept. 4. TOKEN CREEK, WIS. – Years in the planning, summer 2016 marks the completion of a major ecological restoration project on the Token Creek Festival property in the northeast corner of Dane County, part of the watersheds vital to the hydrology of Madison and southeastern Wisconsin. During the 1930s, one of the most important feeder streams in the area, and its only cold-water trout stream, was ruined when it was widened to support short-lived commercial interests and development. Now, decades later, in a monumental effort, that stream has at long last been relocated, restored and rescued. Festival-goers will be able to experience the project firsthand on the opening weekend, when each concert is preceded by an optional stroll along the new stream, with conversation guided by restoration ecologists and project managers. Celebrating this monumental ecological project, the season theme of this year’s Token Creek Chamber Music Festival is: Water Music. Virtually all of the works programmed evoke brooks and streams and rivers and water in its many forms, with its ritual meanings, associations, allusions, and as metaphor. 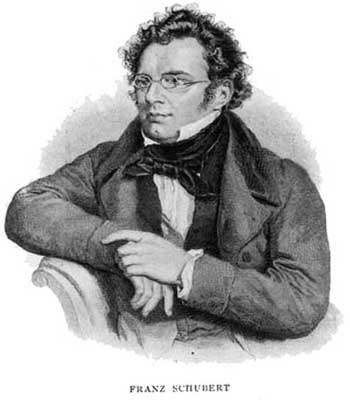 In keeping with the theme, the Festival has adopted Franz Schubert (below) as the summer’s featured composer. His poetic, melancholic, ultimately organic and inevitable relationship to the natural world was expressed in composition after composition, wedded to his intense involvement with the poetry of his era, itself so infatuated with birds, fields, clouds and streams. 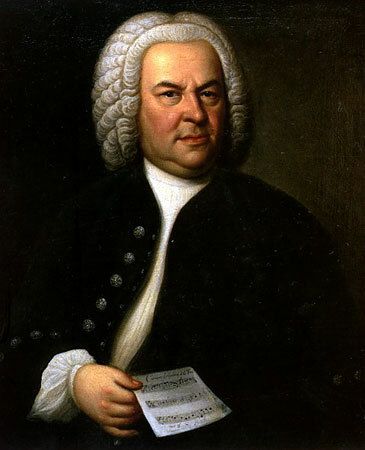 The second program emphasis continues the festival’s most persistent theme: the music of Johann Sebastian Bach. 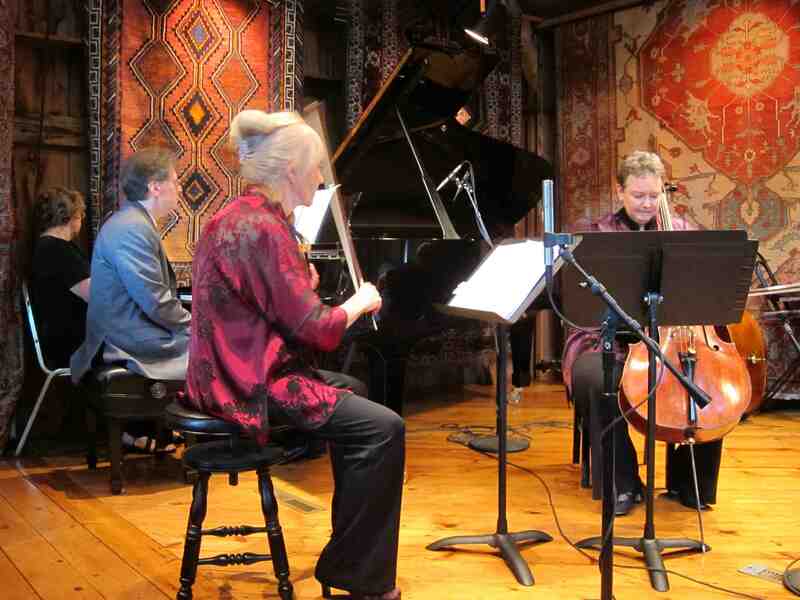 Three strands of Bach’s music previously explored at Token Creek will be taken up again. 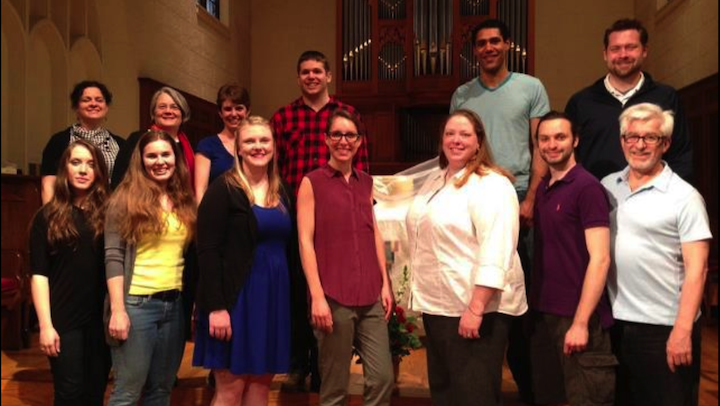 We will present our third complete cantata performance, O heiliges Geist und Wasserbad, a mysterious and poetic piece from early in the composer’s career, with soloists from the Madison Choral Project (below). 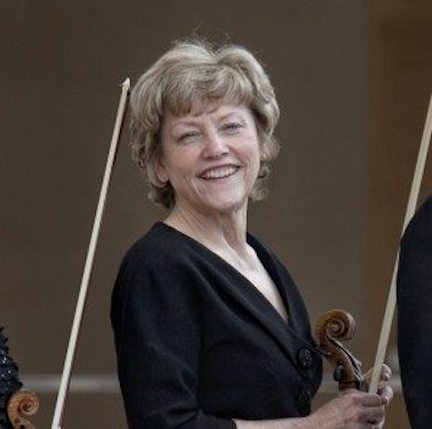 We will conclude our survey of the three Bach violin concertos, this year the E major, co-artistic director Rose Mary Harbison (below top) again as soloist. 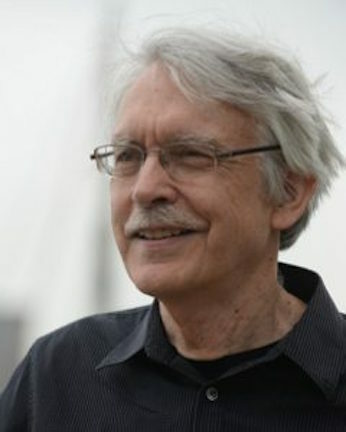 And we take up our sequence of fugues from The Art of Fugue, co-artistic director and composer John Harbison (below bottom), who has won the Pulitzer Prize and a MacArthur “genius grant,” adding three more to his personal odyssey with this work, due to conclude in 2030. 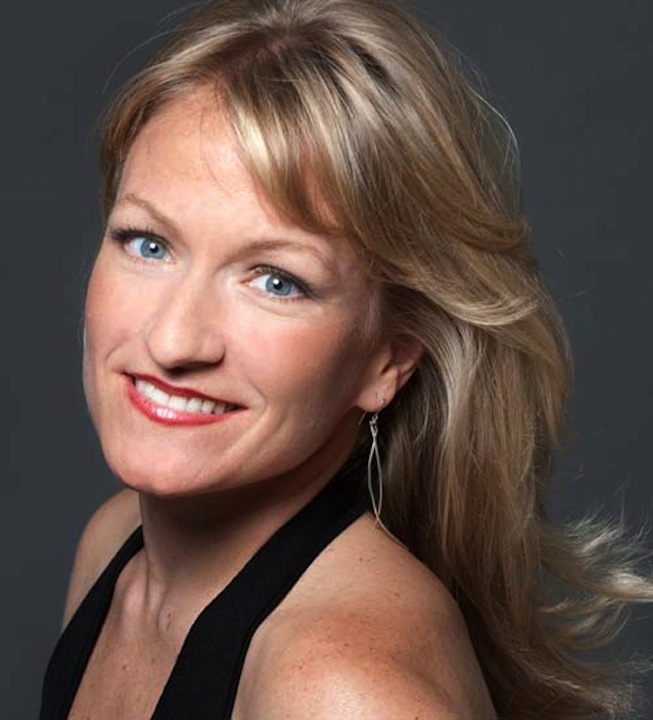 Ms. Lattimore will offer works of Franz Schubert and John Harbison on the Festival’s opening concerts, By the Brook (August 27 and 28), where she will be joined by pianist Molly Morkoski. 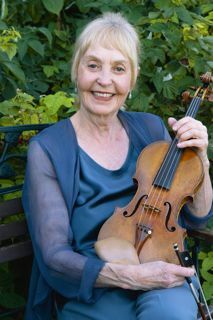 Ms. Morkoski (below), who last appeared at Token Creek in 2013, consistently garners praise for her refined virtuosity and “the bold confidence and interactive grace one wants in a devoted chamber music maker.” In addition to the opening program, Morkoski will also be heard on the season finale in Schubert’s “Trout” Quintet (Sept. 2 and 4). 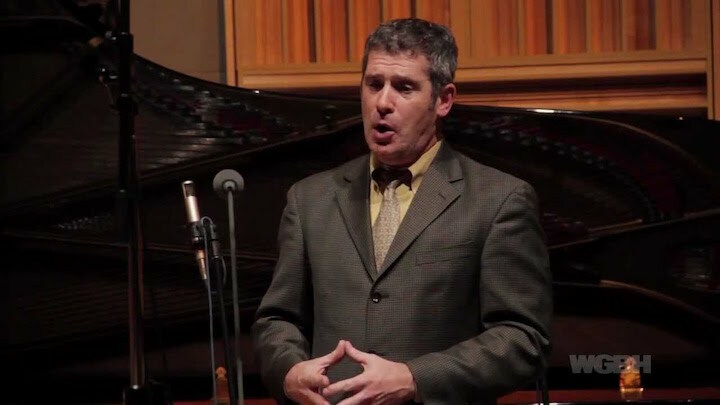 New York Times critic Anthony Tommasini has called Hite (below) a “breathtaking communicator of spoken nuance” for his ability to reveal the meaning and emotion embodied in the text and the music, solidifying his reputation as an engaging and expressive artist. 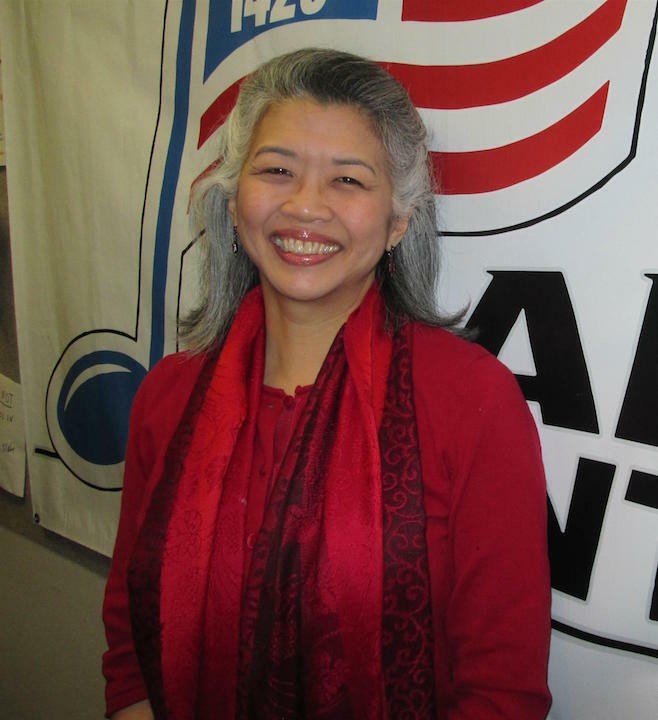 Kayo Iwama (below) is associate director of the Bard College Conservatory of Music graduate vocal arts program, the master’s degree program for classical singers, and she also coordinates the vocal studies program at the Tanglewood Music Center. 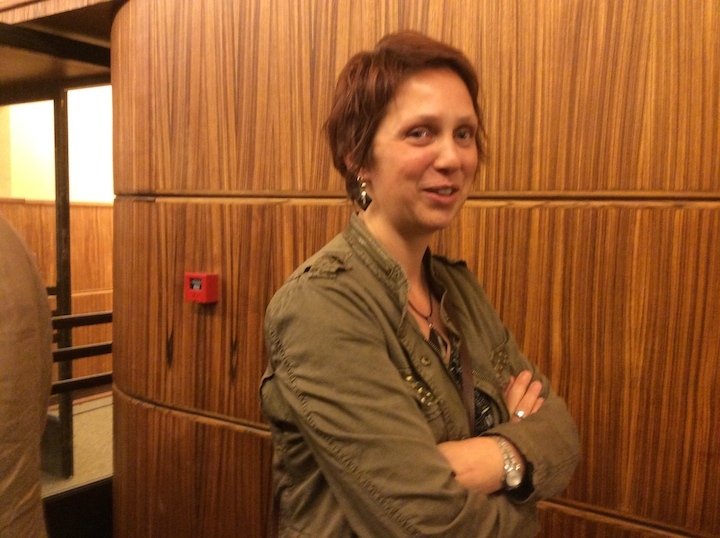 Her frequent concert partners include Dawn Upshaw and Lucy Shelton. 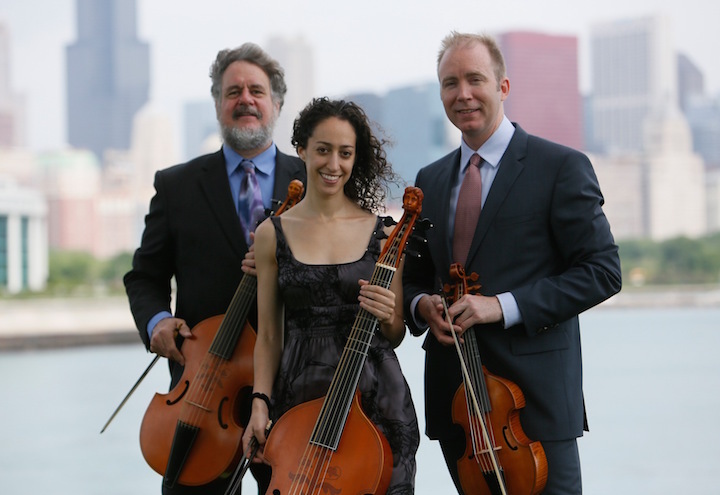 Finally, the “technically faultless and consistently sensitive and expressive,” consort of viols, Second City Musick (below), based in Chicago, will offer a guest recital on Tuesday, Aug. 30, anchored by John Harbison’s The Cross of Snow. Commissioned by local businessman and philanthropist William John Wartmann (below) in memory of his wife, mezzo-soprano Joyce Wartmann, this evocative new piece, on texts of Henry Wadsworth Longfellow, blends the ethereal lushness of violas da gamba with the haunting clarity of the countertenor voice, here Nathan Medley (below bottom), to explore the emotions of grief, loss and love. 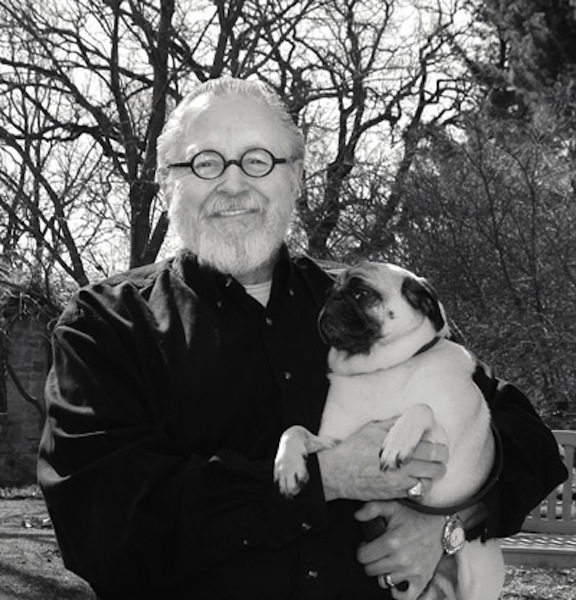 Tuesday’s program will also include works of Henry Purcell, William Byrd, John Jenkins and Johann Sebastian Bach. 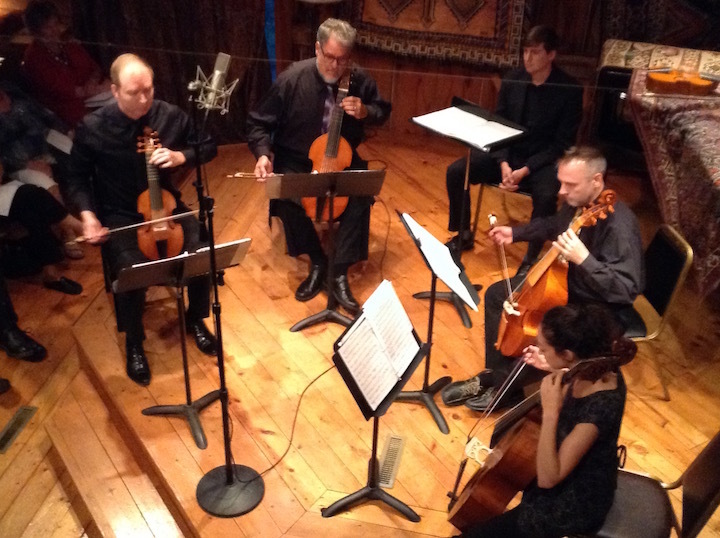 Other festival artists this season include vocalists Rachel Warricke, Sarah Leuwerke, Daniel O’Dea, and Nathan Krueger; violinists Rose Mary Harbison, Laura Burns, and Isabella Lippi; Jen Paulson, viola; Karl Lavine, cello; Ross Gilliland, bass; Linda Kimball, horn; and John Harbison, piano. 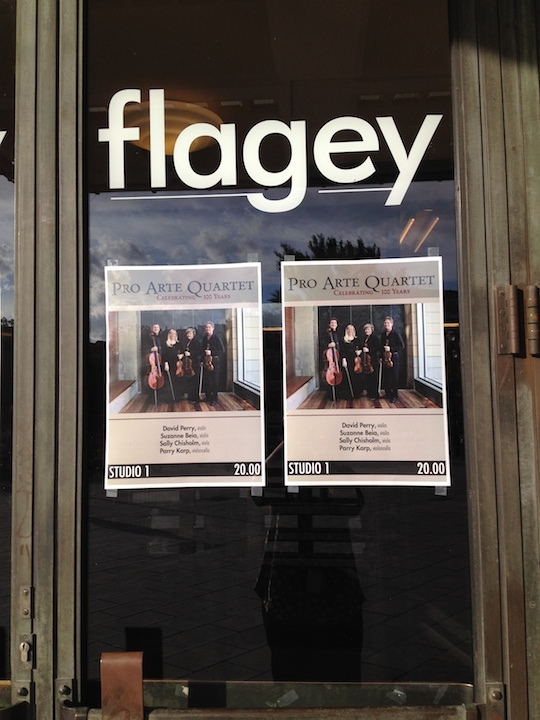 Tuesday, Aug. 30, at 7:30 p.m.
Friday, Sept. 2 at 7:30 p.m.
Sunday, Sept. 4 at 4 p.m.
Concert tickets are $32 (students $12). The preview stream stroll on opening weekend is free to concertgoers, but advance reservations are recommended. 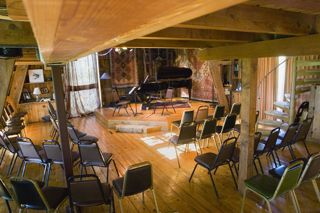 Performances take place at the Festival Barn, on Highway 19 near the hamlet of Token Creek (10 minutes north of Madison) with ample parking available. The venue, indoors and air-conditioned, is invitingly small—early reservations are recommended. More information about the Token Creek Festival and all events and artists can be found at the website, www.tokencreekfestival.org or by calling 608 241-2525. 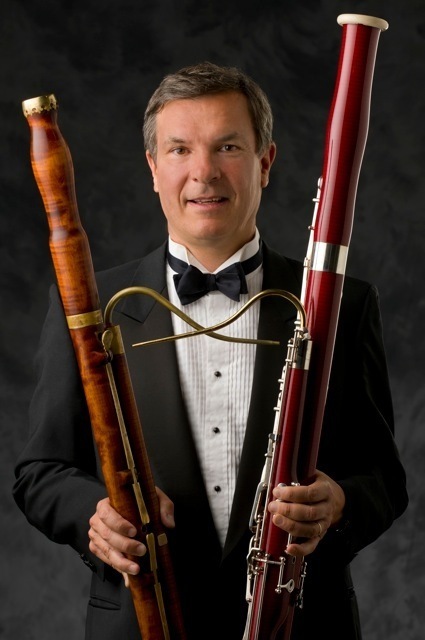 Classical music: Here’s why the opening concert of the Madison Symphony Orchestra proved a stunning success. 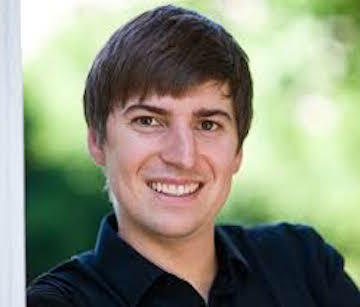 ALERT: This Sunday afternoon the UW Chamber Orchestra, playing under conductor James Smith, will give a FREE concert at 2 p.m. in Mills Hall. The program includes the Serenade for Strings by Peter Ilych Tchaikovsky and the “Death and the Maiden” string quartet by Franz Schubert as arranged by Gustav Mahler. 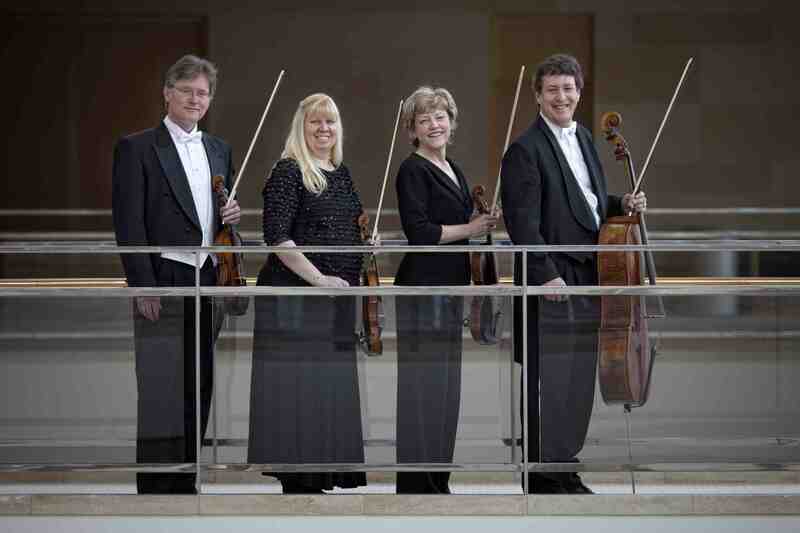 The critics and audiences all agreed: The season-opening concerts last weekend by the Madison Symphony Orchestra (below) proved a stunning success. As The Ear heard it, here’s why. 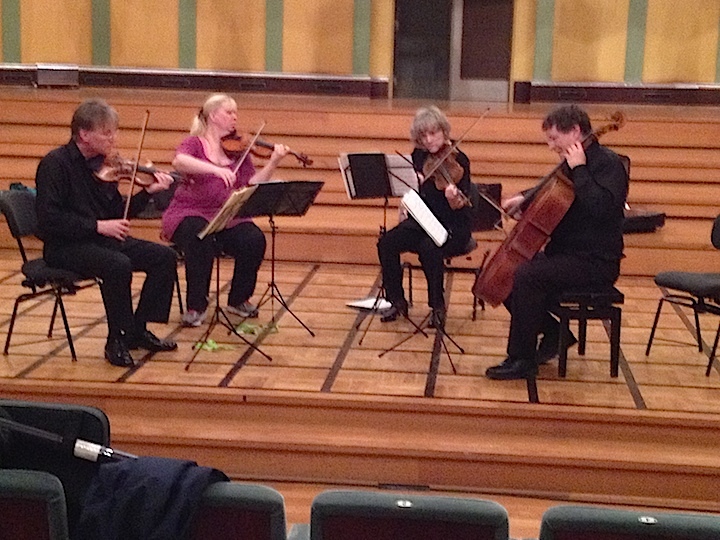 Of course there are the usual reasons: One was the balanced program that MSO music director John DeMain chose to highlight his ensemble players without a guest soloist. 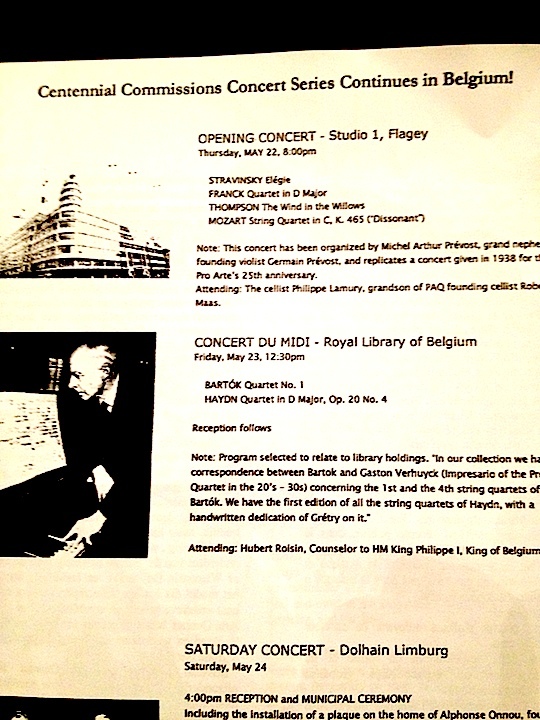 It featured beautiful and dramatic music by Ludwig van Beethoven, Peter Ilyich Tchaikovsky and Aaron Copland. 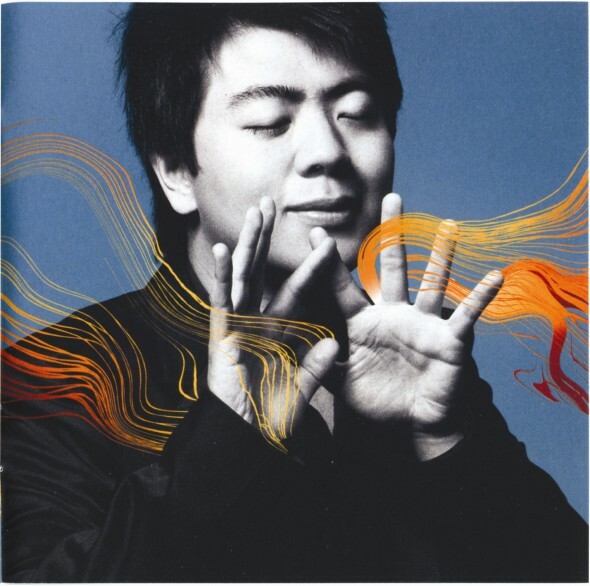 Beethoven’s “Leonore” Overture No. 3 was crisp and dark, dramatic but not melodramatic, befitting the opera “Fidelio” that it was originally intended for. 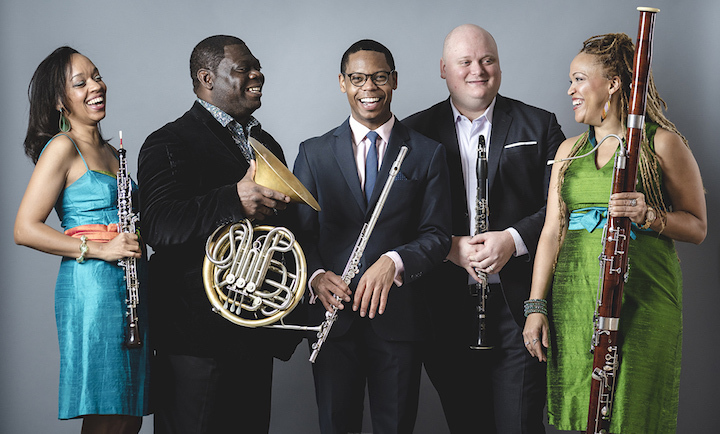 If you missed the opening movement of Aaron Copland’s Clarinet Concerto — written for jazz great Benny Goodman — The Ear is sorry to report that you have already missed a high point of the new season. 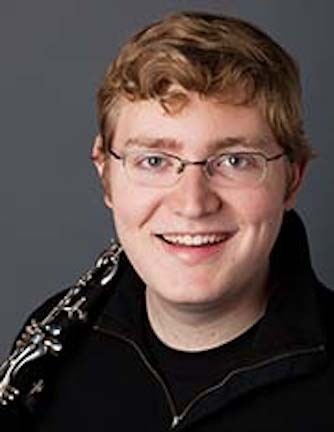 Then there was the soloist — MSO principal clarinet Joe Morris (below), who showed in the Copland what an incredible talent he possesses, a talent that allowed him at 22 to beat out 45 other clarinetists in blind auditions for his post. His pitch and tone, his technique and expressiveness all make his playing the clarinet – not an easy instrument to master – seem as effortless as breathing. 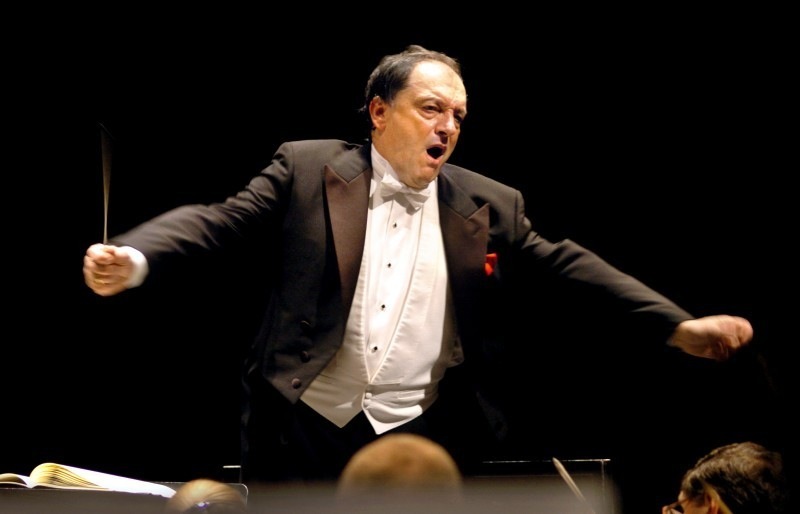 But The Ear found another reason for the concert’s success, one that he credits to longtime music director and conductor John DeMain, who is starting his 22nd season in Madison. It has to do with the clarity and precision of the playing, the careful dynamic balances, tempi and the delineation of the structure of each work. DeMain (below) made sure that each section of the orchestra and each part of every work could be heard distinctly, and that helped you to hear how one part or section, of the score or of the orchestra, related to others. 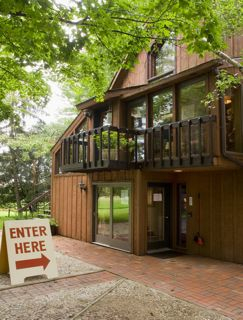 No music event in Madison leaves The Ear with more food for thought than each summer’s Token Creek Chamber Music Festival. 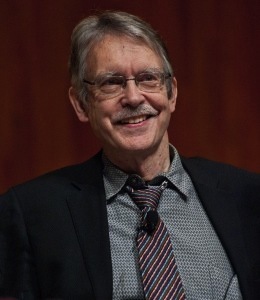 And at the most recent one, co-founder and co-artistic director John Harbison who teaches at MIT and who, as a composer, has won both a Pulitzer Prize and a MacArthur genius grant, commented on the unsurpassed ability of Beethoven to allow listeners to understand the structure of the sound they were hearing in his compositions. That, said Harbison (below), is a major reason why the music by Beethoven has survived and that of many of his contemporaries has not. 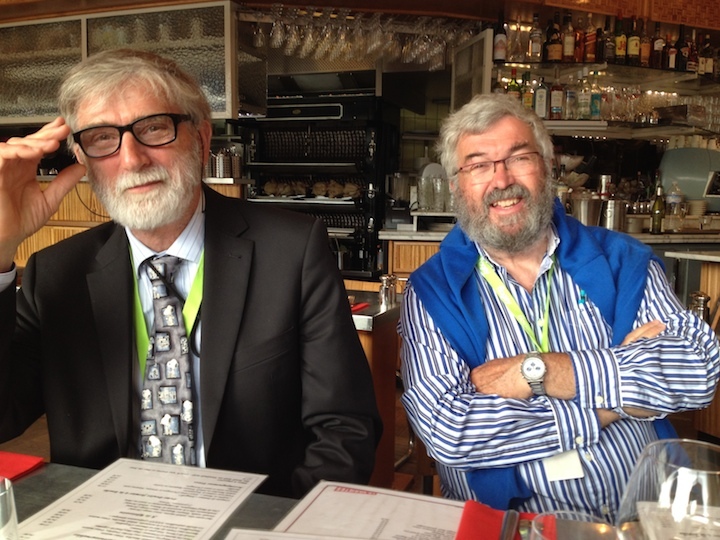 Harbison’s analysis came to mind during the Madison Symphony Orchestra’s opening concert. Since he took over, DeMain has brought each section up to an impressive level of performance The strings have been excellent for a long time; the winds and the percussion have also caught up. But the brass really showed it stuff this time, especially in the Tchaikovsky Symphony No 4, which is a very brassy piece. And DeMain (below) did something important. He illuminated structure by imparting order. He gave each section the kind of shading and space it needed by offering it time to breathe. 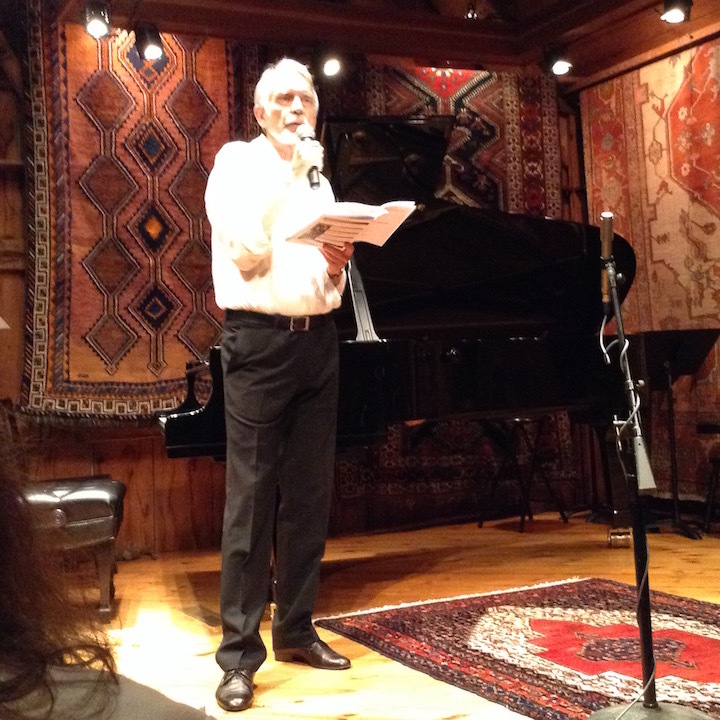 He allowed the audience to hear how parts related to the whole. He allowed you to get inside the score and the notes, to step inside the sound and hear the sense it made and the logic it possessed. In short, John DeMain offered us music that was both deeply emotional and convincingly intelligent. You felt that he was conducting you as well as the players. The effect was to create clarity and color, distance and immediacy, all at the same time. 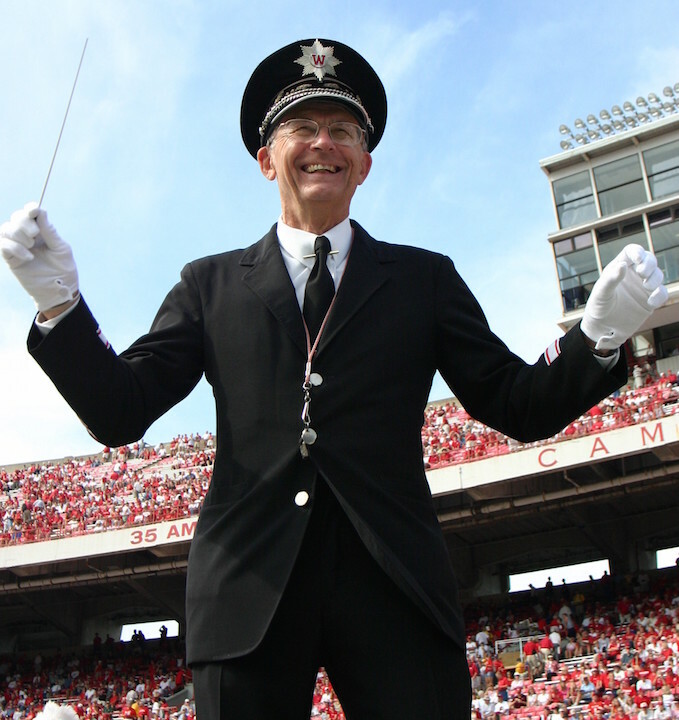 It’s not only the players who have grown during John DeMain’s 22-year tenure. And, thanks to him and his players, so have we. 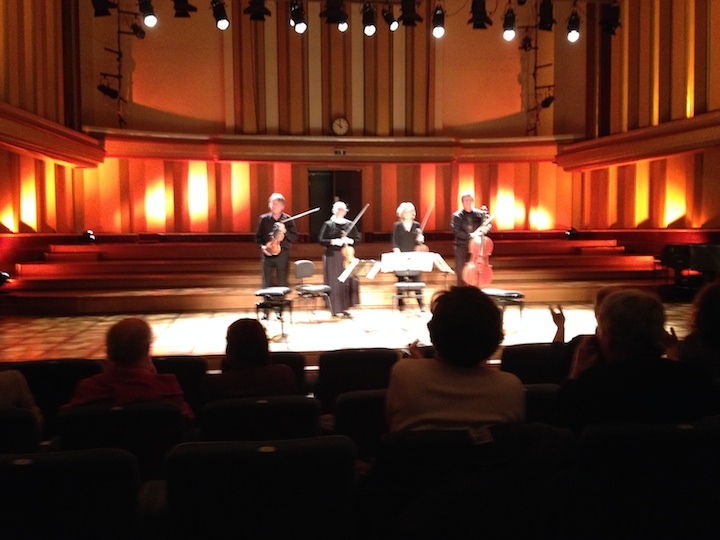 Classical music: Let us now praise elderly audiences! 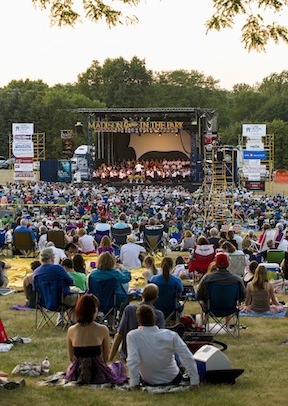 Plus, the 14th annual FREE Opera in the Park is TONIGHT at 8 p.m. When you start talking about audiences for classical music, almost inevitably the subject turns to: How can we attract younger audiences to live concerts? 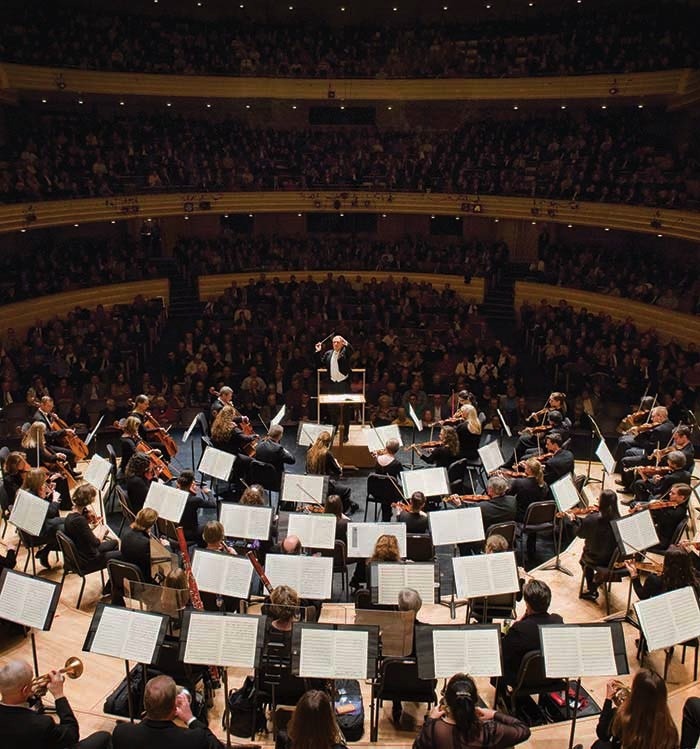 Proposals range from making tickets cheaper and concerts shorter, stressing music education and community outreach, moving to informal concert venues like bars and coffeehouses, and programming more new music. Not that we should ever stop looking for ways to attract young people. But isn’t it maybe a little like asking: How can we attract more blue hairs to young punk band or rap concerts? Maybe we just need different music at different stages of our life. In any case, let us not forget to praise the immense contribution of older people or to be grateful for them. 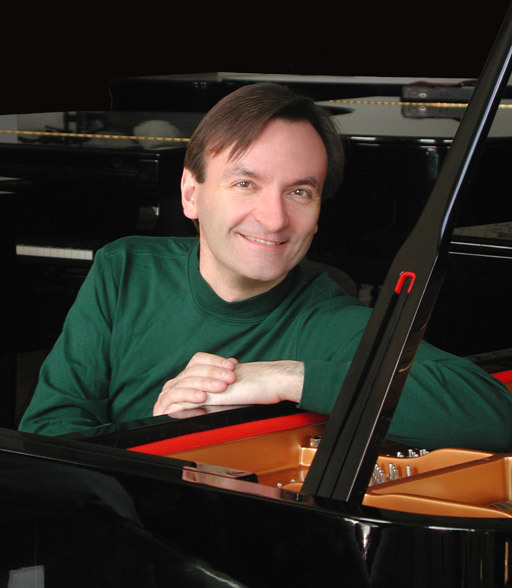 That is the welcome and long overdue message of British pianist-composer-painter and polymath MacArthur Foundation “genius grant” winner Stephen Hough (below), who has performed in Madison several times, in his blog for The Guardian. 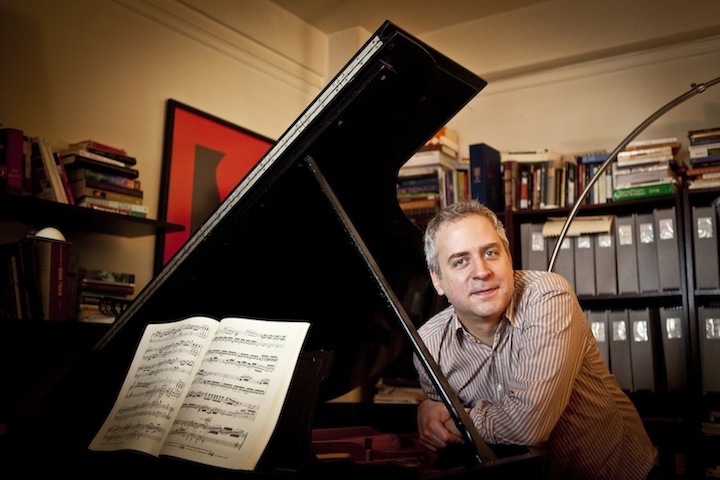 Classical music: The New Yorker magazine opens up its on-line archives. You can read for FREE fascinating profiles of pianists Lang-Lang, Helene Grimaud and Jeremy Denk; of mezzo-soprano Joyce DiDonato; and of violinist Christian Tetzlaff. Follow these links on NPR. 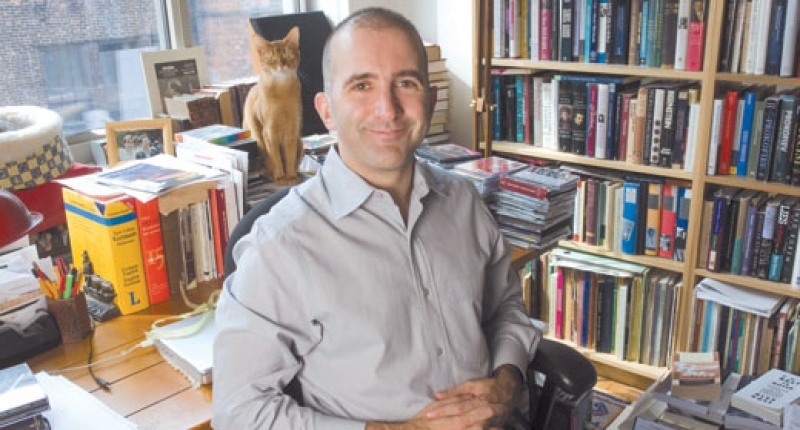 Two of the best sources for reading about classical music are NPR (National Public Radio) with its Deceptive Cadence blog; and The New Yorker magazine, which features Pulitzer Prize-winning critic Alex Ross (below) on its staff. These days a lot of publications are figuring out how to “monetize” their websites and on-line stories since they are losing readers of printed editions. Perhaps David Remnick, the reporter-turned-editor of the The New Yorker who has more than doubled the magazine’s circulation and inaugurated a series of best-selling books of story and cartoon collections, may have a new and unorthodox approach. He seems to be thinking “outside the box” and in reverse: Use the web to increase the profile, and profitability of the print edition. That approach may mean opening up to FREE ACCESS some of the stories that will give people a taste of what they are missing if they do not subscribe to or regularly read the source. Whatever the reasoning, The New Yorker has opened up its archives to classical music fans with five not-to-miss profiles and stories about high-profile musicians. Others include the American mezzo-soprano Joyce DiDonato, who is highly articulate about the world of singing and opera; the French woman and highly individualistic pianist Helene Grimaud, who aims for unusual interpretations; the German violinist Christian Tetzlaff, who is renowned for eschewing the customary path of virtuosity; and the famous essay on taking piano lessons “Every Good Boy Does Fine” by American pianist Jeremy Denk (below), who recently won a MacArthur “genius grant”; who has performed recitals twice in Madison at the Wisconsin Union Theater; and who will be releasing a book-length volume of his essays and postings on his acclaimed blog “Think Denk” this fall. The weekend is a good chance to catch up on such reading. You will learn a lot if you read these stories. 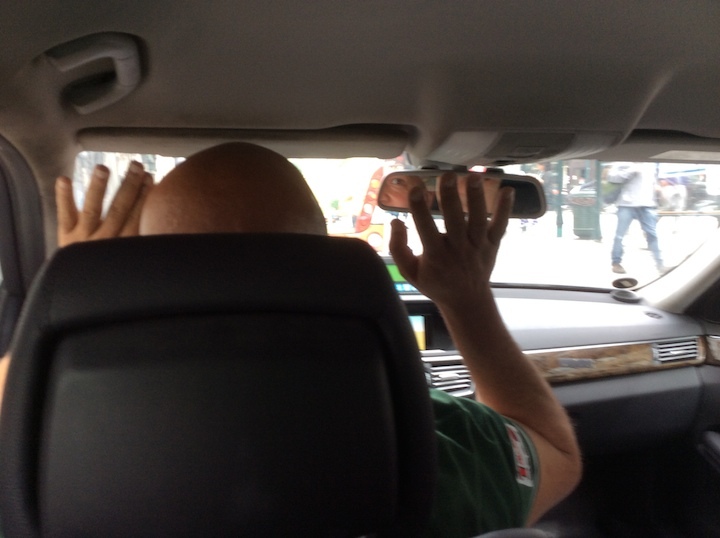 And maybe you, like The Ear, will also become a loyal New Yorker reader. When it calls itself “the best magazine in the world,” it is not kidding. That goes for politics, social trends, art and culture, and even poetry.